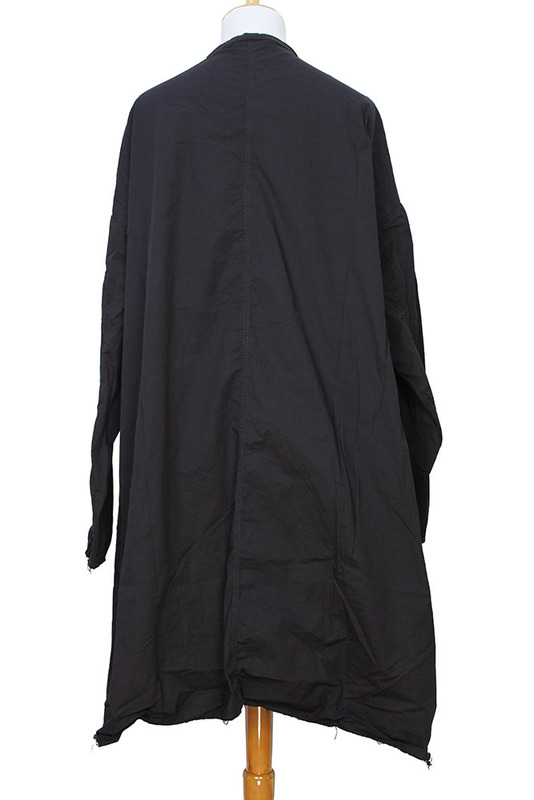 Pal Offner Unisex, overdyed 'Big shirt' in black stretch fabric. Large shirt style with round neck, with raw edged trim. 9 button fastening, buttons can be reversed as they are on a tape. 2 pockets. 4 button working cuffs. Irregular hem, longer at the sides and rear. Another wonderful piece, use as a shirt or light coat!